You can voluntarily choose to pay any debt that would otherwise be discharged in your bankruptcy case by filing a "Reaffirmation Agreement" with the bankruptcy court. Reaffirmation Agreements are typically used only in Chapter 7 cases for secured debt such as cars. The agreement is signed by both you and the creditor and usually must be approved by the Bankruptcy Court. This means you may have to attend another court hearing where the judge will consider the Reaffirmation Agreement and determine whether you have enough income to pay the reaffirmed debt. If the judge approves the agreement, then you will continue to be liable for the debt even after your bankruptcy case is over. If the judge does not approve it, then the agreement will not be enforceable. 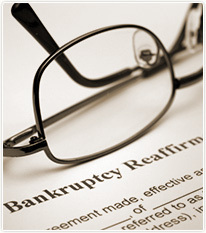 Your Fort Lauderdale bankruptcy attorney can help you with your reaffirmation agreement. Reaffirmation Agreements are frequently requested by secured creditors. Secured creditors are those with whom you have a debt secured by property you own. Property that secures a debt is called "collateral". Secured creditors primarily want you to sign a Reaffirmation Agreement so that if you default on their loan after bankruptcy, they can not only repossess the collateral and sell it, but also collect any deficiency from you if they sell the collateral for less than the amount you owed on their loan. If you do not reaffirm a debt, the creditor is precluded from collecting a deficiency from you in the event you default on their loan after filing bankruptcy. Once your bankruptcy case is over if you default on a secured loan, the creditor will be able to repossess the collateral and sell it. Of course, this is true whether or not you signed and filed a reaffirmation agreement. However if you did sign a reaffirmation agreement, the creditor will also be able to collect a deficiency from you in the event the collateral is sold for less than the balance owed on the loan.